Welcome to the Hoosier Huddle! 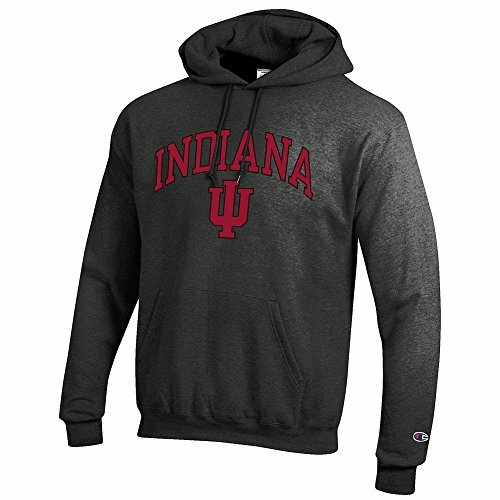 As you surely are aware, there are many sites dedicated to Indiana University Athletics, most notably basketball. However, while visiting these pages it has become painfully obvious that there was a gap in coverage when it comes to Indiana Football. While it was touched upon occasionally it took a back seat, and at times even that back row in those SUV's that seat 7. We have set out to change the status quo. While we understand that Indiana will always be considered a "Basketball School", that does not mean that there isn't room enough for two programs in Bloomington. Sammy Jacobs - Sammy, a native of New York City, is a 2009 graduate from Indiana University with a degree from the School of HPER (Public Health) in Sports Communication and Broadcasting. He started Hoosier Huddle in July of 2013. He also has a Masters Degree in Physical Education from Canisius College in Buffalo, NY. You can follow him on Twitter @Hoosier_Huddle. He is a member of the Football Writers Association of America and a voter for the Nagurski Award. TJ Inman - TJ, a native of Indiana, is a lifelong IU fan and a 2010 graduate of the IU School of Journalism. He joined Hoosier Huddle in January 2015 and currently resides in Noblesville, IN with his wife and young son. Lauralys Shallow- Lauralys is a native of Memphis, Tennessee, attends IU and is an avid IU football fan. A current sophomore, Lauralys is studying sports media and broadcast journalism. She also works for student media outlets including BTN Student U, IUSTV, and WIUX Radio as a broadcaster, and she writes for the Indiana Daily Student. You can check out her reel here https://youtu.be/sSk6bGWCsNM and follow her on Twitter @ShallowLauralys and on Instagram @getlolo_shallow. Nate Comp- I am from Yorktown, IN and have been a fan of all IU athletics my whole life. I am currently a junior in the Kelley School of Business studying Information Systems and Operations Management. I also am involved on campus in Student Athletic Board. I am on Twitter @nathancomp1 and on Instagram @natecomp4. Rylie Kyhn- I am a sophomore at Indiana University studying Sports Media-Broadcast/Journalism. I am originally from Franklin, Wisconsin a small suburb of Milwaukee. I have been a huge sports fan since I was a kid and growing up I played high school basketball, soccer, and lacrosse. I am a Big Ten Student U reporter. I am passionate about all IU sports, especially IU Football and getting to write and report on the team is an incredible opportunity that I am very excited about.